These porcelain shakers are airbrushed and stamped Japan on the bottom. 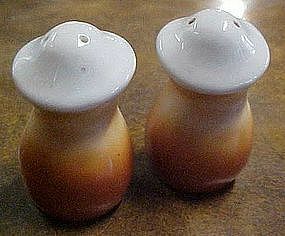 They measure 2 1/2" tall and are in excellent condition. Both have plastic stoppers.